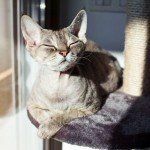 Cat Care | Pet MasterMind - Effective & Ethical Pet Products! Anytime that you make the decision to bring a pet into your family, you’re committing yourself to their care and well-being. Animals simply can’t tell you what’s wrong or what they need. This is why it’s so important to have an understanding of what you can do for them prior to bringing them into your home. If you’re curious about caring for a cat, then it may be a good idea to contact a veterinarian or someone who has experience with these animals. Cats are a bit more complex than people give them credit for. They have Natural Instincts that are still very much a part of who they are. Each cat is also going to have its very own personality and set of behaviors that are unique to them. It’s important to take the time to understand your cat’s behavior, and to except their unique personalities. You’ll also need to pay attention to their likes and dislikes. Bonding with your cat can be an incredibly rewarding process, and it’s a pet that will stand by you for years to come. Many people choose cats because they believe that they are a lower maintenance pet. In many ways, this is absolutely true. There are certain behaviors that you need to watch out for, and that you need to be aware of. Things like spraying, going to the bathroom outside of the litter box, scratching up your furniture, and becoming aggressive can all be signs and symptoms of medical problems. If your cat exhibits any behaviors outside of their normal routine, then it’s a good idea to contact a vet and to get them seen as soon as possible. There are times when these behaviors are purely temperamental. You could have done something that actually made your kitty cat mad. As silly as this sounds, it’s a reality for many pet owners. Different cat breeds can have very different types of behavior. Some have been domesticated for generations, and they will be more suited to a home. Others, maybe a bit wilder. The type of cat breed can also determine how large the cat’s going to be, if it’s going to have any special medical considerations, or if it’s going to have certain behaviors. Choose a cat that you’re prepared to care for in all ways. One of the first things you’re going to do after you get your cat is to take them to visit the veterinarian. The vet will be able to determine if your cat has any health problems, and to start them on the appropriate vaccinations. At this time, it’s a good idea to ask your veterinarian what kind of food you should be feeding your cat. Feed them only these prescribed Foods. Cats will generally eat twice a day, and it’s important to always have a supply of water available to them. Claws are an important part of your cat’s daily existence. Claws allow cats to hunt, climb, and protect themselves against predators. 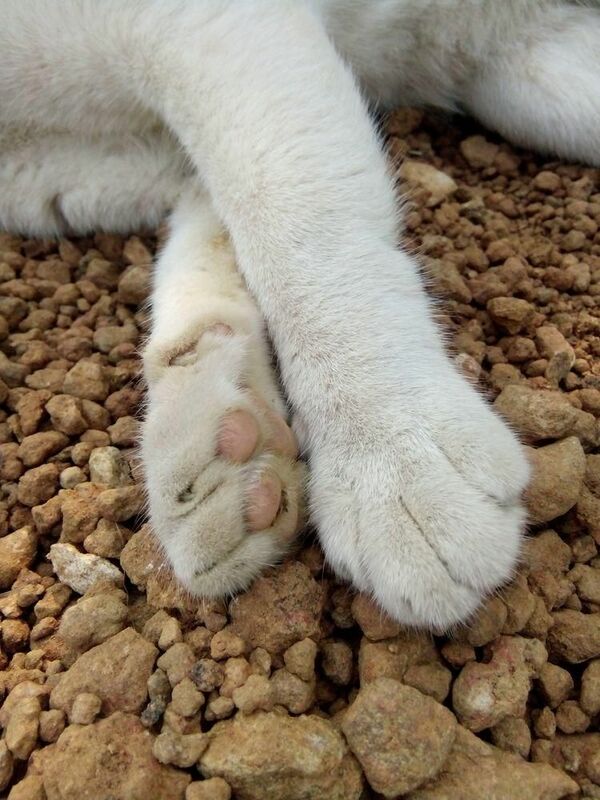 In fact, a cat’s claws are also used for exploration, during play, and to place marks as signs that the cat has visited a specific location. How well your cat’s claws are groomed affects your pet’s ability to use the claws properly. Not only will you want to keep the claws clipped for your cat’s sake but also to protect your possessions from unwanted scratch marks. In general, you’ll want to trim your cat’s claws every month to minimize their length and sharpness, while also reducing your pet’s natural inclination to scratch in order to shed the outer layer of the claws. Here are seven tips that you can use to make this job easier as well as safer to complete. Since this is the first time that you’ll be undertaking this task, you’ll want to start slowly in order not to startle your pet or end up getting scratched. The best way to begin is to play with your pet, touching her paws and seeing how long she will allow you to hold one of her paws before pulling it away from your gentle grasp. As time passes, your pet should begin to trust you, allowing you to hold her paws for longer periods of time. As the two of you are becoming more familiar with this behavior, take the time to become familiar with the cat’s cues that she is finished playing this game. As soon as your pet becomes uncomfortable with you holding her paws, you should stop. Once you learn the cues, you can stop before your pet even has the time to become upset. Eventually, the two of you will develop a comfortable routine that allows for nail clipping. Now that your pet allows you to hold her paws, you should explore her nails, becoming as familiar as possible with them. Cat claws grow in layers, and the oldest layer begins to shed fall off) after a certain period of time. In order to get a good look at the claws, press on the pad of one paw. The claws will come out, allowing you to see them. You’ll need to practice doing this until you get good at it, because this is exactly how you’ll get the claws to come out when you want to trim them. The part of the nail that you will never want to cut is called the quick. Learn how to distinguish where the quick is located in your cat’s nails before attempting to trim the nails. You won’t have the luxury of having lots of time, so you’ll need to be able to figure out where the quick is easily in order to avoid accidentally cutting at the wrong part of the nail. The quick is located at the point where the clear or translucent part of the nail stops and the pink-colored portion starts. You’ll be trimming the translucent part of the nail off, while allowing the pinkish part to remain intact. Never attempt to cut your cat’s nails with anything other than nail clippers designed specifically for cats. You’ll probably discover that you have two options – nippers and guillotines. The nippers are similar to nail scissors for humans, while the guillotine style features a sliding blade that does the work for you. Practice holding and use which ever tool you buy so that you are familiar with how it works. Choose good lighting when you are ready to begin trimming, because the illumination makes it easier to see where to cut. Remember that you don’t want to cut the quick because your cat will experience pain and the nail will bleed. A relaxed cat is easier to work with than one that is feeling frisky. Since you know your cat best, pick a time of the day when she is usually calm. For some cats, this time occurs after a meal or just before naptime. Additionally, you should remind everyone else in the house to remain quiet during the trimming session. Noise can startle your cat, making it impossible to continue working on her nails. Whenever possible, you should find someone else to assist you. If one of you holds the cat while the other person does the trimming, the process should go much more smoothly and quickly. The individual who is holding the pet can attempt to keep the cat distracted, giving the person doing the trimming more time to get the job done. Just remember that whoever is doing the trimming must also be the one holding the cat’s paws. Otherwise, an accident is sure to happen. If you are lucky, you will be able to trim all four sets of claws in one sitting. If your pet gets loose from your grip, just remember to return to the paw that you were working on once you begin again. Your goal is to finish each paw completely before moving on to the next one. This strategy makes it easier if you have to split the trimming up into two sessions. Cats need their claws trimmed on a regular basis, just like humans do. They use them for a variety of tasks, including hunting, exploring, and foraging for food. Their claws grow continuously, and can become sharp and dangerous if you don’t keep them trimmed. Before your cat will allow you to trim her nails, you’ll need to establish a relationship with her that allows you to touch her paws and nails. For the best results, you should select a tool designed for this purpose and select a quiet, well-lit place. If possible, get someone else to help you and try and finish the job in a single sitting.